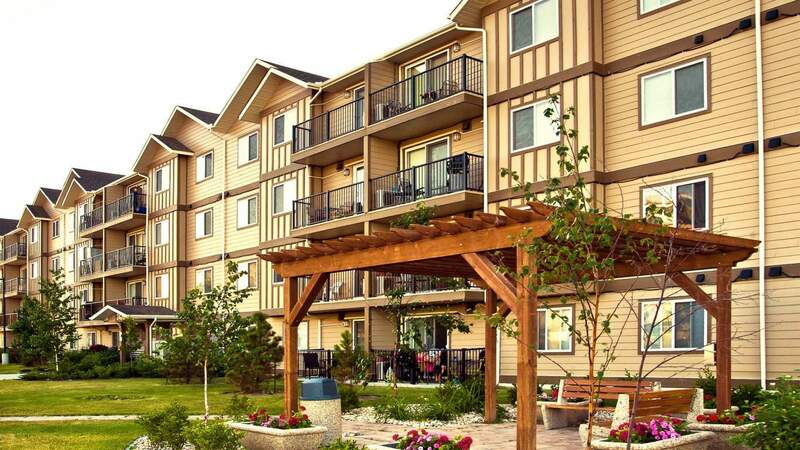 Broadstreet's Riverbend Terrace offers 2 bedroom pet friendly apartments conveniently located just off the Perimeter Highway in north Winnipeg. This brand new apartment community is perfectly situated on a main bus route, and in walking distance to Red River Community Centre and Kildonan Park. From Riverbend Terrace it's only a 20-minute drive to downtown Winnipeg and a 30-minute drive to the Winnipeg Airport. Enjoy the convenience of having a washer and dryer inside your apartment and the luxury of your own private patio or balcony. On the weekends, you'll love taking the family to one of the nearby beaches in Gimli or Winnipeg Beach. Or, simply spending an evening entertaining friends in your spacious new home. Whether you're looking to hit the links at Kildonan Park Golf Course, take a stroll along the Red River, or indulge in some local shopping, this location can't be beat. At Riverbend Terrace you can take part in some of the best apartment-style living in Winnipeg, and enjoy a peaceful community in a walkable, urban neighborhood.